You’ve likely heard a lot about arbitrage on Amazon. It’s a popular way to make money on Amazon, and many Amazon sellers promote this business model. It’s considered one of the best. Of course, some people do prefer to private label, dropship or wholesale. Question is: who is right, and what approach will be the best for you? In general, retail arbitrage is when you buy items in retail stores at reasonably lower price and then sell them in a different marketplace for a profit. Retail arbitrage is like hunting. It requires you to search and analyze constantly. The difference is just in the way you source products. In retail arbitrage, a seller sources products from brick-and-mortar stores, whereas in online arbitrage it is sourced from online shops. Low investments. Retail arbitrage required considerably lower investments comparing to any other business model (dropshipping or private label). You can even start with zero-investments if selling old things you own, but you don’t need anymore. Quick return. If you buying products and immediately sell it, you can get a quick return and immediately invest it in the next business cycle. No need to care about PPC-campaigns. Arbitrageurs don’t have to worry about creating listings, PPC-campaigns and many other things. Testing some products. Arbitrage allows you to test some products. If a product sells as a hot cake, you may try to purchase it in bulk and sell it as private label for example. Harder to Sell. Unfortunately there is no single recipe on how to succeed in online or retail arbitrage. Keep researching products. Retail or online arbitrage is always a puzzle! You need to try different options. Requires a lot of time. Unlike the private label where you purchase a product in bulk from a manufacturer and then make additional purchases when the stock is about to be sold, the arbitrage model requires constant involvement. The product is sold in smaller quantities and sales or offers tend to end, so you always have to be looking for something new. Earnings are lower. Retail or online arbitrage does not require a big investment, however the return is not as big either. The products sold are usually in small quantity, with low margins. For example, check out these products using a product finder app. Here are some good product options to get started with. Compare the data from the products below to your own ideas. If you buy a product that has to be stored for quite a long time before you sell it, be sure it will not spoil and will not lose its appearance over the time. Avoid outdated items. Also, make sure the products are lightweight, not oversized, so they are easy to ship. After using a product finder app to identify the types of products you want to sell, you can also look at popular retailers like Best Buy, Walmart, Ross, Craiglist, Big Lots and many many other. Look for off-season sales (such as Halloween or St.Valentine’s day sales) - and stock up for next year. Check summer and winter sales for heavily discounted items. In just few months, you can usually sell them at the original retail price. Watch for spectacular Black Friday deals. They are a great way to grab many great products at an extremely low price. Clearance sales are also a great source of products for arbitrage. If you do retail arbitrage you will need to visit a shop, purchase products and get back home. Try to source something different every time you purchase. Do not stick on the same product. If you purchase online it’s even easier! Stay up to date on the latest offers, discounts and sales. Some users also buy gift-cards or use various discount coupons to buy as cheaply as possible. Use all available methods you can think of to save money when buying so you increase your profit margins. Keep researching to find new and interesting product sources and always check what the product you want to buy will sell for on Amazon. 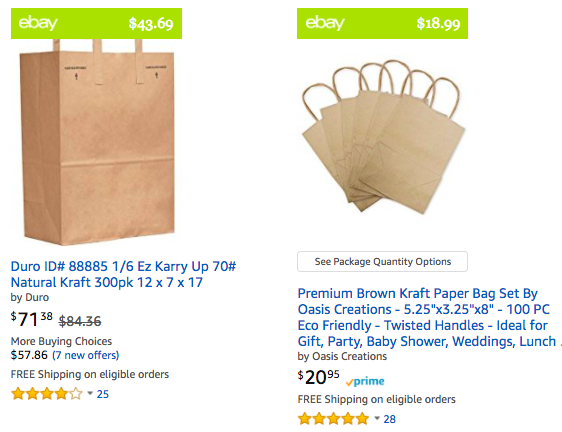 Many people starting with Amazon arbitrage have ended up with a bunch of products they can’t sell. 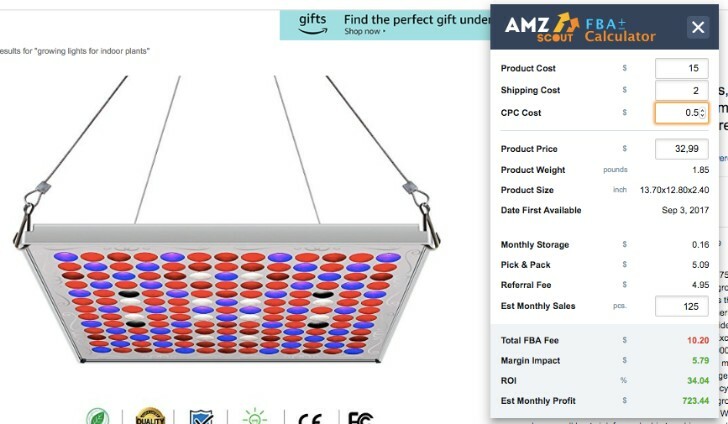 So research, research, research, to be sure that a product is suitable for Amazon arbitrage - use AMZScout profit calculator. The easiest way to sell on Amazon is to subscribe to a FBA program. For this, you need to prepare your products in accordance with Amazon rules and ship them to an Amazon warehouse. The process of searching products for arbitrage isn’t easy. Luckily, you have AMZScout. The first tool you need is our Amazon Smart Shopper which will be useful for online arbitrage. It shows whether a product is available at eBay at a lower price. There are many other arbitrage deal finders as well, but nothing can be better than a manual research. AMZScout Chrome Ext Pro to choose products and confirm with more certainly that you’ve picked “winning” products. Look at pricing data to verify the regular price and determine if sales are possible. Review rank history to verify demand and estimated monthly sales. This tool provides accurate data and is a true indicator monthly sales, that is quite accurate due to a new algorithm. So you can trust this indicator and plan the volume of purchase. The last and the most important thing is to calculate profit and decide whether it makes sense buying this product or not. AMZSout extension includes built-in FBA fee calculator. Also, you can install our free FBA Profit Calculator extension for Chrome or use web version of FBA Profit Calculator by AMZScout. If you want to sell on Amazon, and have lots of time but not much money to invest, Amazon arbitrage may be right for you! Remember to rely on your product finder app, and the rest of the tools mentioned and do your research. Being prepared and having a plan will save you a lot of time. Identify the most profitable product niches and start there if you can.